Here at Valley Healthcare Center, residents can expect complete care, 24 hours a day, including skilled nursing and therapy services. 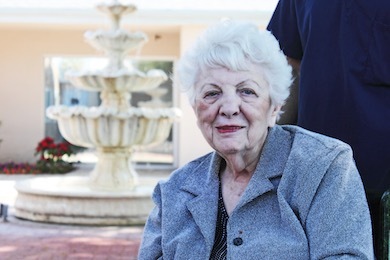 We are designed to meet the needs of both short-term therapy and long-term care residents. We accept Medicare, Medi-Cal, HMO programs, Hospice, Respite and Private Pay. Our personalized care is of the highest quality, with top-of-the-line therapy services and functional independence programs. An array of social, recreational and religious activities are regularly held in bright and cheery surroundings, allowing residents to enjoy their stay. We deliver the best service possible, utilizing state-of-the-art equipment, technology, and techniques to help your loved one back to health in a quick a time as possible. 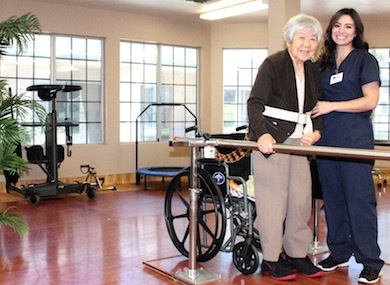 24 hours a day, 7 days a week, rehabilitation services are available to our residents. Services offered include physical and occupational therapy, and speech/language pathology. We are also able to offer continued care from home once patients are discharged from our facility. Valley Healthcare Center is a 109-bed facility located in the heart of San Bernardino and only minutes from the 215 and 10 freeways. We are centrally located to major Inland Empire Hospitals including Community Hospital of San Bernardino, Loma Linda University Medical Center and St. Bernadines Medical Center. Choosing Valley Healthcare Center as your health care provider is an easy choice. In addition to round-the-clock care, this facility creates a welcoming atmosphere, with home comforts such as healthy cooked meals, relaxing social activities, and spacious facilities. 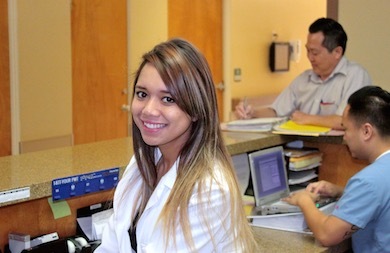 By managing requests, benefit authorization, and the whole admissions process for you, our admissions department makes it easy to get the care you need. We'll even plan your discharge. At Valley Healthcare Center, we're here for you every step of the way. We’re located in the heart of San Bernardino, just minutes from the 215 and 10 freeways. We are close to all the major hospitals within the Inland Empire, making it easy for you to get the care you need, as soon as you need it. 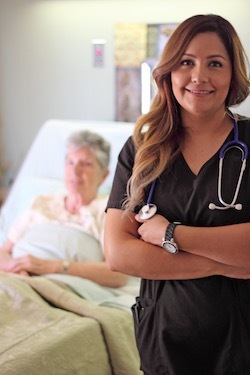 Get in touch with us to find out how we make our San Bernardino location your best choice for skilled nursing care.